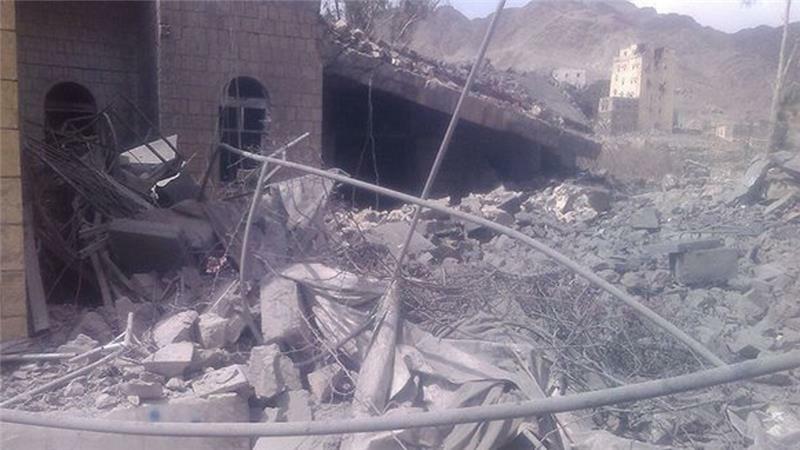 Sana’a 10 January 2016 An MSF supported hospital has been hit in Northern Yemen causing at least four deaths, injuring ten people and leading to the collapse of several buildings within the medical facility. Three of the injured are MSF staff two are in a critical condition. According to our staff on the ground, at 9.20am one projectile impacted the Shiara Hospital in Razeh district, where MSF has been working since November 2015. MSF cannot confirm the origin of the attack, but planes were seen flying over the facility at the time. At least one more projectile fell near the hospital. All staff and patients have now been evacuated with some receiving ongoing care at that Al Goumoury hospital in Saada, also supported by MSF. The numbers of casualties could rise as more people could still be trapped in the rubble. “All parties to the conflict, including the Saudi led coalition (SLC), are regularly informed of the GPS coordinates of the medical sites where MSF works. We are in constant dialogue with these parties to ensure that they understand the severity of the humanitarian consequences of the conflict and the need to respect the provision of medical services,” says Raquel Ayora, MSF Director of Operations. “There is no way that anyone with the capacity to carry out an airstrike or launch a rocket would not have known that the Shiara Hospital was a functioning health facility providing critical services and supported by MSF”. The conflict is particularly acute in Razeh District. People living in the area have been severely affected by constant bombings and the cumulative weight of 10 months of war. Shiara Hospital had already been bombed before MSF started supporting it and services were reduced to stabilisation, emergency, maternity and lifesaving activities. This is the third severe incident in a helath facility directly managed or supported by MSF in the past three months. On 27 October Haydan hospital was destroyed by an airstrike by the SLC and on 3rd December a mobile clinic in Taiz was also hit by the SLC wounding nine people, one of whom later died. MSF teams struggle on a daily basis to ensure the respect of health facilities by all armed groups. “We strongly condemn this incident that confirms a worrying pattern of attacks to essential medical services and express our strongest outrage as this will leave a very fragile population without healthcare for weeks”, says Ayora. “Once more it is civilians that are bearing the brunt of this war”. MSF asks for an immediate end to attacks on medical structures and requests that all parties to the conflict unequivocally commit to supporting the safe delivery of humanitarian assistance. MSF also requests that those responsible for this attack investigate the circumstances of the incident. In Yemen, MSF is working in Aden, Al-Dhale’, Taiz, Saada, Amran, Hajjah, Ibb and Sana’a governorates. Since the start of the current crisis in March 2015, MSF teams have treated more than 20,000 war-wounded patients. More than 790 tonnes of medical supplies have been sent by MSF so far. MSF directly manages 11 hospitals and health centres and supports a further 18 health centres. With the healthcare system barely functioning, MSF is also providing non-emergency health services.